*ConAgra Brands sponsored this post, but the opinions are my own. Are you pulling out your hair trying to get dinner on the table every night? Weeknights around here can by C.R.A.Z.Y. 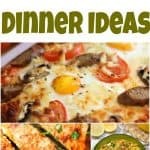 so I developed this super easy printable meal planning hack to make dinnertime go more smoothly and it has saved us a TON of money. Want to see how easy it is? I’ll show you! I am the self-proclaimed queen of meal planning. I am a very type A person and I need a plan. I need to be organized. Does that mean I have time to plan meals every week? NO. I really don’t have time, but I recognize that if I don’t meal plan then we will be eating pizza or take out every night and that is neither healthy nor affordable sooooooooo I meal plan. Want my hack that anyone can do? 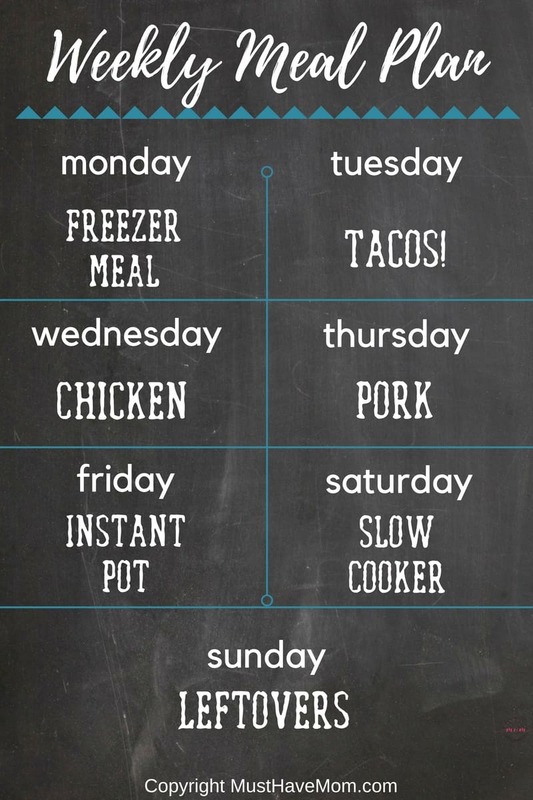 Yes, you have time to meal plan this way. Really. I promise! Every Sunday when I sat down to meal plan I would grab all my favorite cookbooks, go scan Pinterest and try and find all the most amazing new recipes to try. I quickly tired of this time-consuming task and it fell by the wayside. Now, I’m just lucky to get a meal plan in place and buy all the groceries on my weekly shopping trip. This new system has saved me and has made meal planning EASY again. Plus it saves us loads of money and we eat healthier because I’m not resorting to fast food or takeout. Grab the free printable meal planning (pictured above) and meal planning will be EASY and painless. I promise! I have planned the week with different themes or proteins so you can quickly and easily fill in the days with your favorite recipes (or try a new one!) and have your weekly meal plan done in just a few minutes (unlike my hour-long routine I used to do!). As you can see, each day has a different theme. Mondays always seem hectic as the week gets off to a start so Mondays are designated freezer meal days. Does this mean you have to start freezer cooking? No. Does this mean you have to grab a pizza from the freezer? No. If you freezer cook then fantastic, grab a freezer meal. 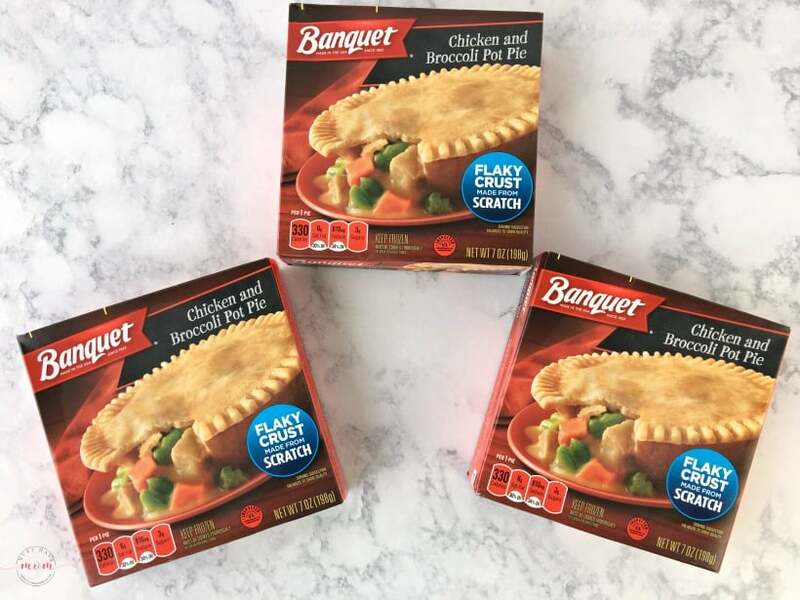 I love freezer cooking, but I don’t always have my freezer stocked with meals so I always have a favorite go-to freezer meal I can pick up at the store. 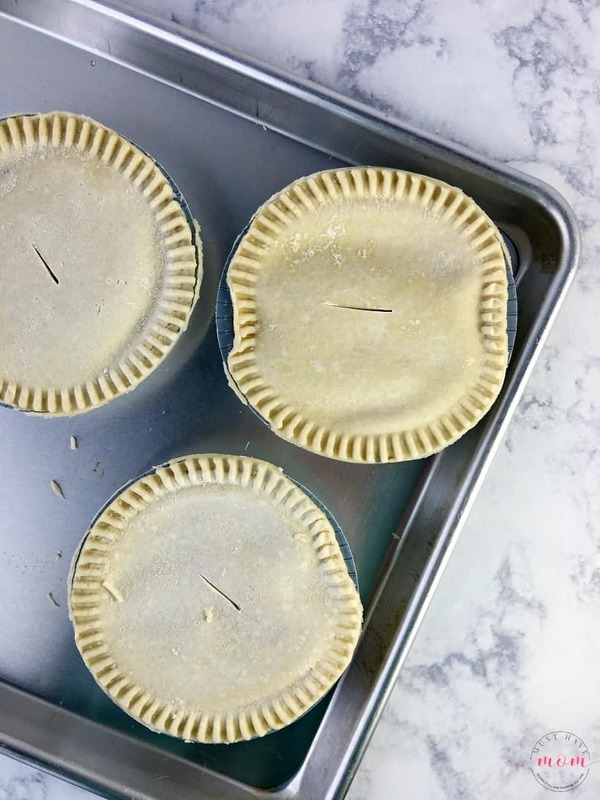 Banquet Pot Pies are one of my favorite freezer meals I turn to, especially in the colder months when pot pies just warm you from the inside out! 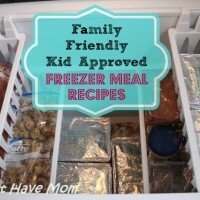 Need some freezer meal inspiration? 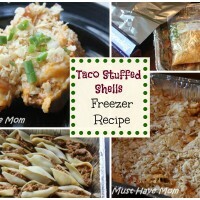 Check out my freezer meal recipes. 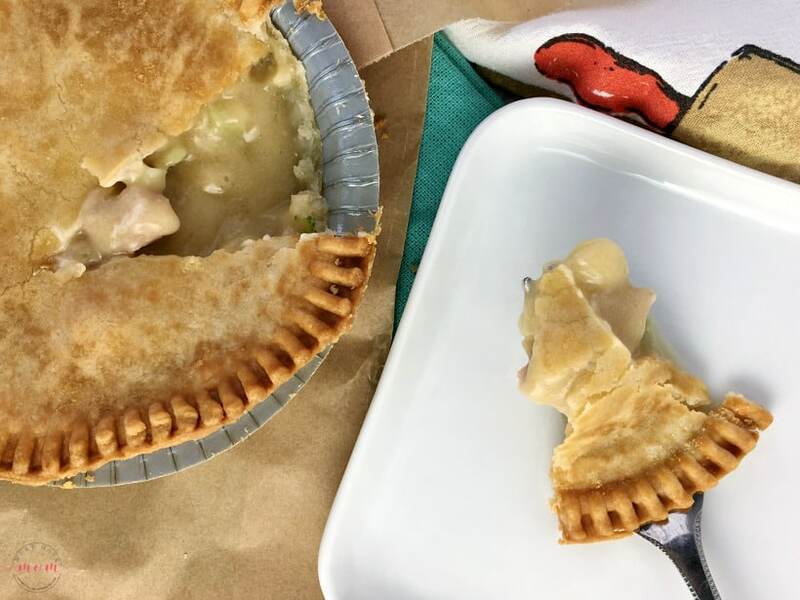 I love Banquet Chicken and Broccoli Pot Pies because I’m not a huge fan of cooked peas and the broccoli just hits the right spot for my taste preferences! It’s so warm and tasty and SO easy to cook. Just place them on a baking tray, cut a slit in the top and bake for 32-35 minutes. They come out baked to perfection, with a flaky, golden crust that tastes homemade. I love how comforting they are on a cold day and it allows me to get a wholesome dinner on the table for my family despite our busy day. 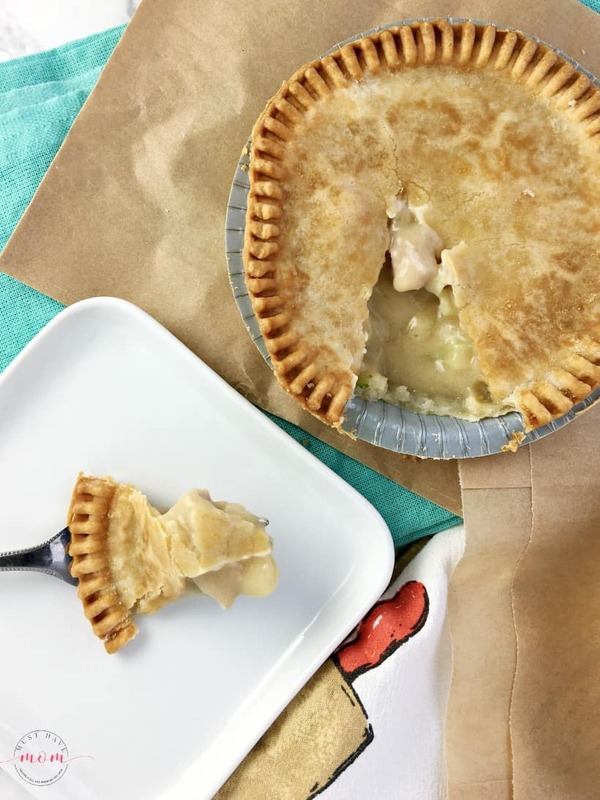 The Banquet Pot Pies are perfect to stock up on and always have on hand in your freezer. They make the perfect Monday “freezer meal” for your meal plan. Grab this money-saving ibotta coupon offer while it lasts and save even more on dinner! Tuesdays are designated “Taco Tuesdays” around here. We love Mexican food and this is the one meal I can guarantee that all of my kids will devour (even my pickiest eater). You can mix this up though by doing steak tacos, fiesta taco bowls, carnitas, Hawaiian chicken tacos, taco soup, a meatball taco ring or mini taco salad bites! Thursdays are “pork” themed recipes. We love all sorts of pork recipes. Some our favorites are the regional porketta recipe, cavatappi with pork & red pepper ragu, pork tenderloins, breaded pork chops, pineapple, pork and sausage kabobs, or this simple, yet amazing sheet pan dinner. Fridays are usually pretty busy around here and we like to enjoy our evenings so I theme this night around an Instant Pot meal. It’s quick and easy and I love that I can throw it all in and walk away. Try the instant pot whole chicken, instant pot BBQ pork chops, instant pot ranch pork chops with rice or the instant pot BBQ pulled pork. Saturdays are slow cooker days so I can toss everything in the slow cooker in the morning and set about my day without worrying about dinner. That also means dinnertime is flexible and we can be on a more relaxed, weekend schedule. Try some of my favorite slow cooker recipes here. Finally, Sundays are for leftovers! After a busy week filled with delicious meals, you are bound to have leftovers. Use Sundays to clean up the leftovers and clean out the fridge as you prepare for the following week’s meals! 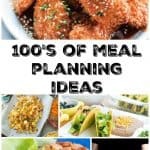 Using this easy meal planning system you can save tons of time and money, plus you’ll be eating better, more wholesome meals. It also gets families around the dinner table each night which I am a firm believer in. It’s so important to sit down together and talk and bond. My own family rarely sat down to a meal together when I was growing up and I think that’s one reason why it is so important to me to make sure we all sit down together as a family now. Remember to go grab your free download of my weekly printable meal planning guide and don’t forget the money-saving ibotta offer (download ibotta for free and save on tons of groceries) at Walmart when you go get your groceries for the week! That’s so smart – I love how you created each day around a meat or appliance to use! I might have to start doing this to really mix up my dinner routine! OK that is awesome! I think I’m going to follow this. I have such a hard time figuring out what I want to make each week something like this will give me some more focus. This is such a great idea! I never though to just center it around a meal type or theme. Meal planning can definitely seem like a task! You have made it so simple and I need to make a freezer meal night around here. I am THE worst meal planner EVER. I need these tips, thank you! I used to plan meals regularly, but I got out of the habit. 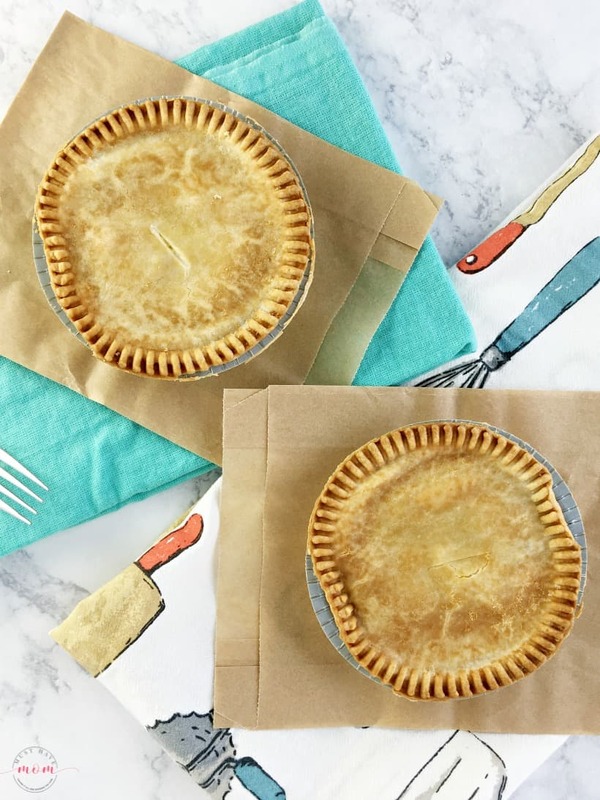 My husband is addicted to the Banquet beef pot pies! I love that your meal plans have a theme. I think this is a great idea and allows you to mix in some new foods/recipes. Meal planning is so much easier, and saves so much for time than flying by the seat of your pants. In fact, it can totally help you in terms of budget too. Great printable. Saves so much more time than* Sheesh. Sorry! Great post thank you! I’m definitely liking your meal plan rotation! We do tend to save a lot of money when we plan everything out and shop a head of time. I am all about saving money on food! Pinning for this weekend’s shopping! I love all of your meal planning ideas – leftovers on Sunday are always a good idea! I have to meal prep like crazy because I try to eat keto only, while the rest of my family doesn’t so it keeps me sane. This is such a great idea. I have a hard time planning out meals. Meal planning is so important and makes life so much easier. Thanks for sharing at Merry Monday!